Creating partnerships with other brilliant people and organizations is what makes this business truly worthwhile. Nowhere do we find that spirit shining brighter than in our new alliance with The Teahouse Music Company. 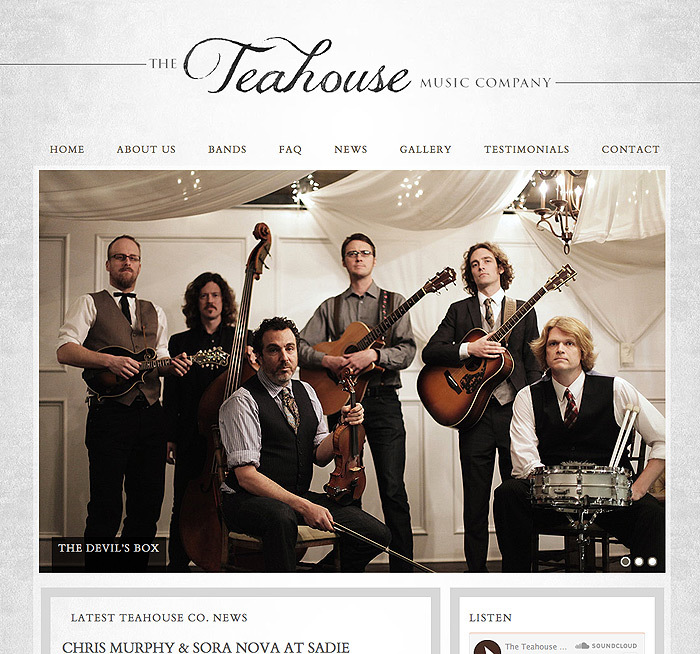 Founded by musician Chris Murphy, Teahouse represents some of the finest music groups for hire in Southern California. This WordPress-based website is the result of our collaboration and I believe it does an excellent job of representing who they are and what they stand for.